Con was happy to participate again this year in the Game On Against Cancer event presented by Games & Things in Knoxville, TN. 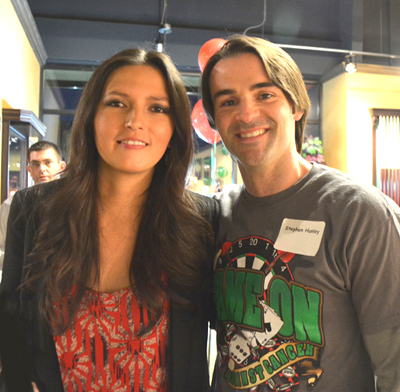 The event raises money for patients receiving treatment for cancer at Thompson Cancer Survival Center in Knoxville. The money is to help with out-of-pocket expenses such as gas, transportation, meals, medication, and even lodging for patients and their families when there is a need to stay overnight. 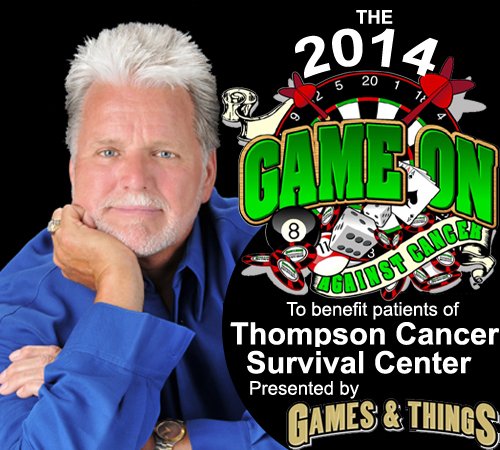 This event is a very fun way to raise money for the Thompson Cares Fund. 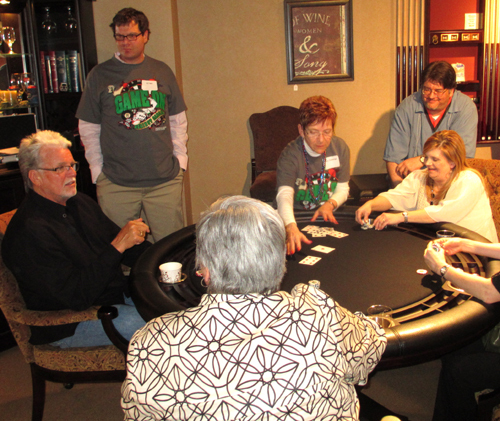 For a tax- deductible donation of $50, guests get dinner and drinks, and also get a chance to strategize and match wits against a number of local celebrities and dignitaries in a variety of fun games. 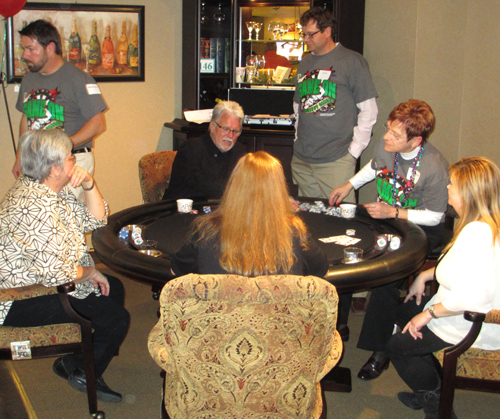 Games include Air Hockey, Billiards, Foosball, Darts, Shuffleboard, Table Tennis, and Blackjack. The games are a lot of fun for both participants and for spectators, with a lot of light-hearted trash-talking and high-fives! Con is playing Blackjack tonight. 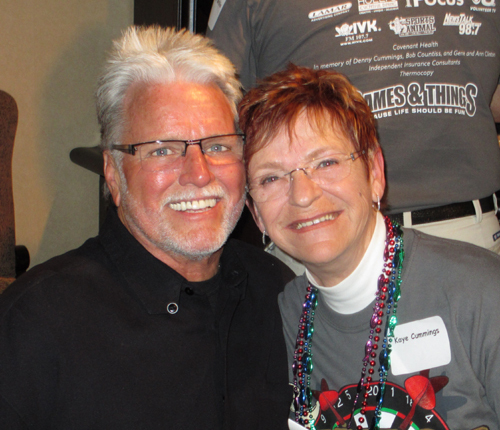 He is pictured here with event volunteer, Blackjack dealer, and good friend Kaye Cummings. 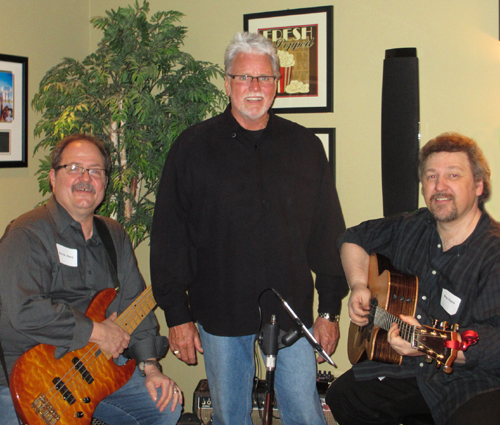 A couple of Con's bandmembers offer up some wonderful background music! 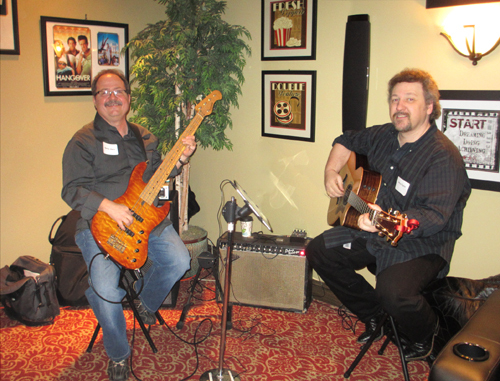 Burton Akers (left) on bass and Greg English on guitar. Con's talented nephew Stephen was on hand volunteering his services as relief dealer. Stephen's beautiful bride Elizabeth was also in attendance. 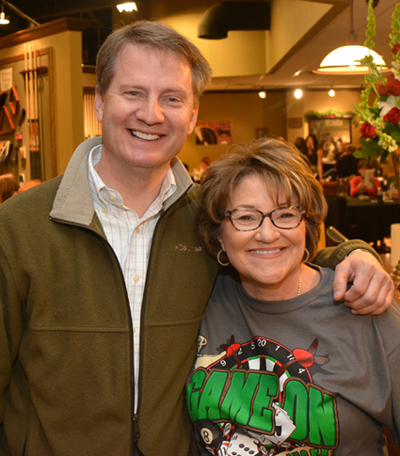 Tim Burchett were glad to participate in the games to help this worthy cause. Here are just a few pictures of some of the other game participants. There were 30 local celebrities and dignitaries taking part in the games: Sports announcers and commentators, TV network personalities, Biggest Loser contestant Joe Mitchell, former Olympian Missy Kane, former NFL great and current Knox County Judge Tim Irwin, and even a couple of the Oncologists from Thompson, as well as the CEO of Covenant Health, Tony Spezia. 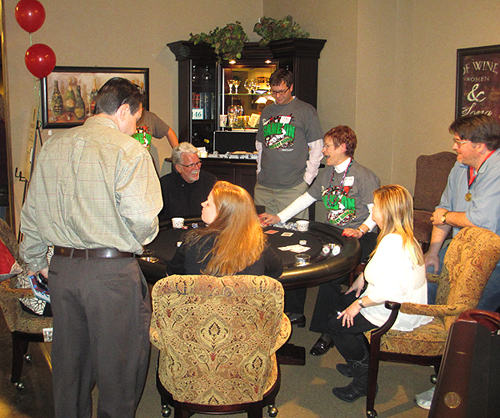 Everyone was eager to step-up for this great event to directly help patients and their families. Stephen's mother, Kim Hunley, also volunteered her services at this evening's event. She served on the event's Planning Commitee as well. Kim was also responsible for getting some of the wonderful items up for bid at the silent auction that goes on during the course of the evening. 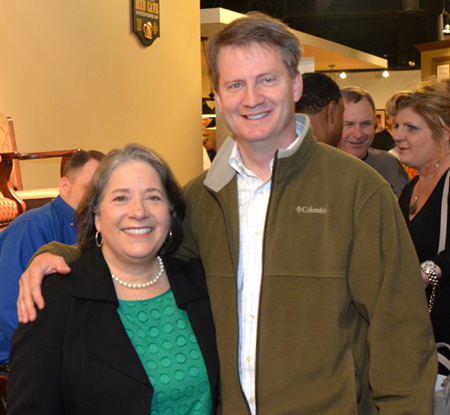 She is pictured here with Mayor Burchett. 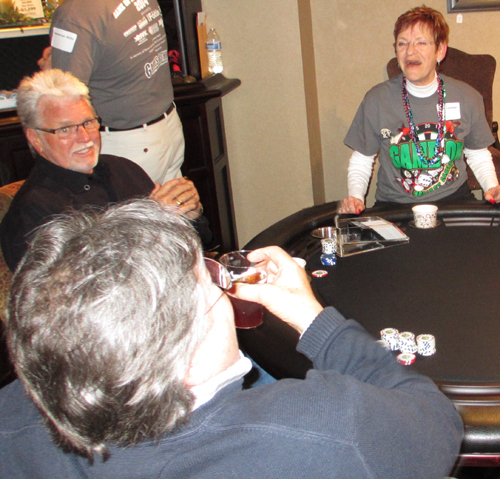 The fun continues at the Blackjack table. But of course we couldn't let Con go without crooning a tune for us....he sat in with the guys for a song before the night came to an end. It was a great event...it seems these days everybody knows somebody whose life or family has been affected by cancer. Our earnest hopes and prayers are that one day soon this devastating disease will have a cure. Please visit www.thompsoncancer.com to see how you too can help...or support the treatment facilities in your area. Many thanks!